Present state: Station building and Chester platform waiting shelter still extant although the trackbed has been infilled between the platforms and all evidence of the platforms has gone. 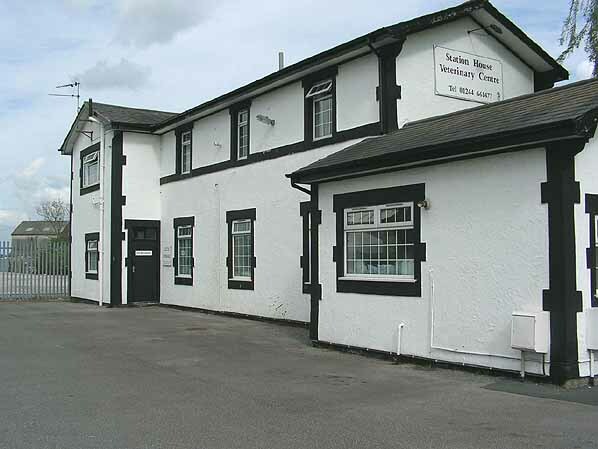 The station in use as veterinary practice. 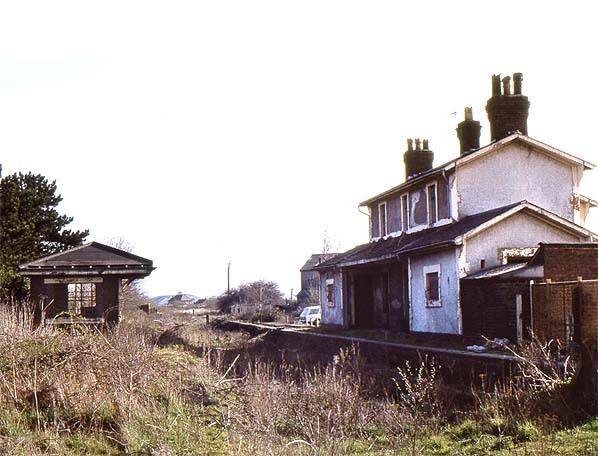 Notes: Broughton & Bretton Station opened in 1849 as part of the Mold Railway Companies double track line from Saltney Ferry near Chester to Mold. When opened the station was Called Broughton but it was renamed by the LNWR in April 1861 to Broughton Hall. It received another name change on 1.7.1908 to Broughton and Bretton. The line was extended to Denbigh Junction on 12.9.1869 by the LNWR and it would become known as the Chester to Denbigh line. 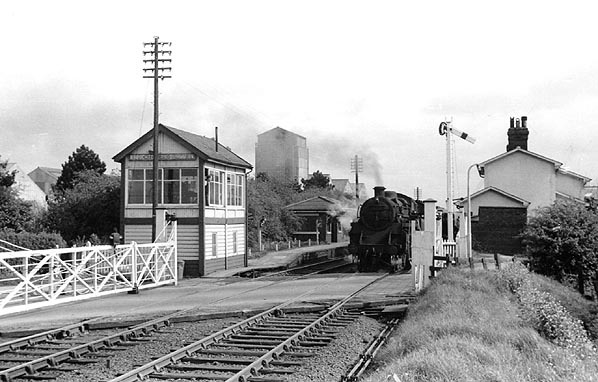 Although this line could never be described as a main line it did host regular passenger services between Corwen, Ruthin, Denbigh, Mold and Chester although by the early 1960's the only service to operate was the all stations Chester General to Denbigh and Ruthin service which usually consisted of only two coaches. 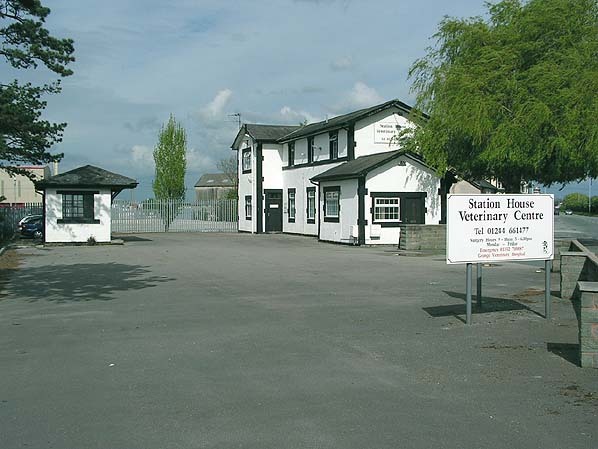 Today the station buildings are still standing and they are in use as a veterinary practice. 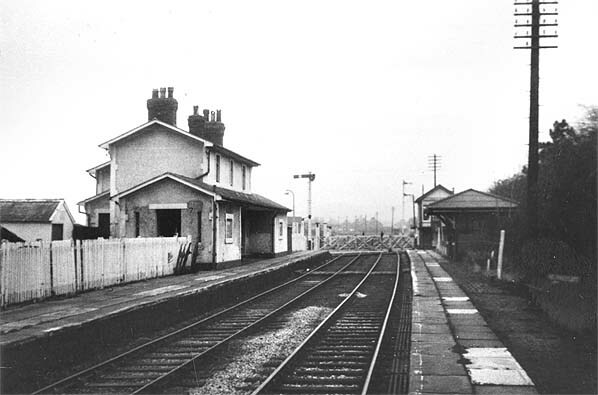 Looking north-east towards Broughton & Bretton station in 1962. The A549 road can be seen in the foreground crossing the line by means of a level crossing. The station is seen beyond the crossing. 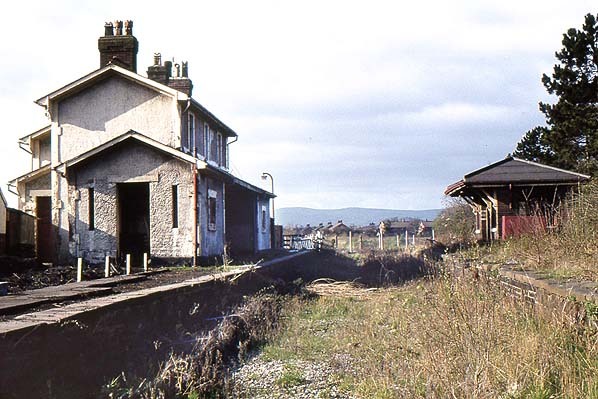 A Ruthin train prepares to depart from the station. 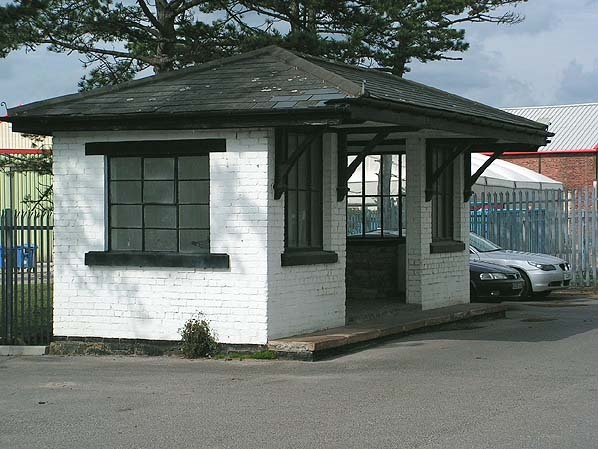 Broughton & Bretton Station in May 2005 - the main station building to the tight and the waiting shelter to the left.